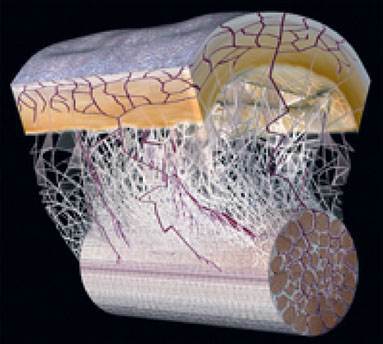 The fascial system is our largest sensory organ in terms of gross surface area? The quantity and richness of nerve endings in fascia is equal to that of both our sight and hearing. Fascia continually contracts at the rate of 8-12 cycles per minute. The miracle happens when this tissue becomes malleable. Constrictions release. The body becomes more at ease. Pliable. Easy. Free.